In a recent GreenBiz article the author asks Is This the End of Corporate Social Responsibility? Apparently CSR doesn’t “cut it anymore” and companies are now turning to the creation of social purposes or missions as “the reason for the company’s existence.” Sounds promising except for that one “big elephant in the room.” Can you name it? Developing social purpose and mission is NOT going to fix what is wrong inside organizations. We call these “perception of trust” fixes as opposed to authentic trustworthiness. The first is built from the outside in, while the latter is a more difficult inside out endeavor. Focusing on social purpose before trust is like putting a clean shirt on a dirty body. And other than an “easy fix” that gives marketing and PR something to talk about, it makes little sense. And the opposite occurs when they don’t, which is where most organizations find themselves today. A social purpose and mission will not fix low trust. It’s up to leadership to decide when (and if) they are ready to address the “elephant in the room.” Delaying it doesn’t fix it. PS- Elevating trust is the best kept secret of many enlightened business leaders and it is giving them not only a head start, but a clear competitive advantage. For more information on how to build trust in your organization, please send a note to me at barbara@trustacrossamerica.com. 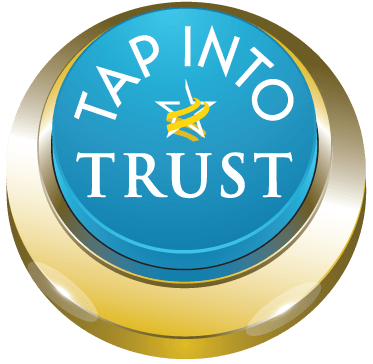 We are running our trust diagnostic (AIM Towards Trust) for many teams and organizations and, depending on the results, providing further insights on how to fix the weaknesses. Barbara Brooks Kimmel is the CEO and Cofounder of Trust Across America-Trust Around the World whose mission is to help organizations build trust. She also runs the world’s largest global Trust Alliance and is the editor of the award winning TRUST INC. book series. She holds a BA in International Affairs and an MBA.